Families in need of home care often look inward to help their loved one. But it’s a turbulent journey for family caregivers, and like anyone else, they need a break. Burnout is real and so are its consequences. That’s why families often seek respite care. This guide will outline the benefits and costs of respite care so you can better understand this invaluable resource. There's no "one size fits all" in respite care. Some family caregivers need reprieve after a parent has surgery and needs more support following the return home. Some must return to work part-time after a loved one’s health event (a stroke, fall, or other extended illness, for example) forced them to provide full-time care. Others need a break after years of faithful caregiving or want to celebrate a milestone anniversary or birthday with a special trip. Whatever the motivation, these benefits apply across the board. Avoiding more expensive types of care. Caregiving is one of the hardest unpaid jobs out there. And whether done willingly or not, the clear majority of family caregivers are not receiving financial reimbursement. What keeps people at demanding jobs? It's usually the paycheck. A family caregiver, on the other hand, is fueled by obligation, guilt, necessity or fear. Paying for care at a nursing home would not only be expensive but also emotionally taxing. That’s why many continue caregiving at the expense of their health—despite feeling burned out, despite being pulled in different directions (maintaining a paid full- or part-time job, raising children or helping with the care of grandchildren, etc.). And considering the average monthly cost of nursing home care—$7,148 for a semi-private room, $8,121 for a private room, per Genworth’s 2017 Cost of Care Survey —it’s understandable. Assisted living communities can also be expensive: the average monthly cost for an assisted living community, per Genworth, is $3,750. Burnout is real. It’s easy to keep going, ignoring the body’s warning signs, ignoring fatigue. But if a family caregiver ends up in the hospital, who’s around to provide care? If a family caregiver needing surgery is always putting it off because of caregiving, will the condition worsen? Respite care is not selfish; rather, it’s self-preservation to continue the caregiving marathon. The truth is that if you’re a family caregiver, you don’t know when your next break is coming. While the care needs of a stroke victim may be more intense at the beginning, there may be many years of care ahead. Respite will be necessary for the long haul. Improving the care receiver’s health. Family caregivers suffering burnout can provide sub-optimal care. If the body is compromised by caregiving, how can optimal care for a loved one be assured? How much does respite cost? It depends on how often you use it and where your loved one receives it. 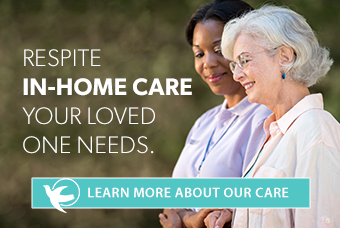 You can access respite via home health care (medically-based care) and home care providers. Costs will vary based on how many hours or days of service you need, and the extent of care required. On average, according to Caring.com, you may pay anywhere from $15 to $40 per hour for intermittent help (medical or personal care), and $120 to $200 per day or more for live-in care. Many nursing homes, retirement communities, and assisted living facilities offer short-term respite stays, either on an hourly, half-day, full-day, overnight or extended basis. The cost averages $100 to $250 per day, depending on what level of care is needed. In some facilities, there may be a required minimum number of nights or days to qualify as a respite stay. Adult day care, or adult day services, is an excellent option for respite, especially for caregivers who need coverage during daytime hours, freeing them to work, go to doctor’s appointments, sleep or focus on self-care. Caring.com estimates the cost of adult day services, via a licensed provider, ranges from $25 to $150 per day. Many also offer sliding-scale fees, and accept Medicaid and some other types of insurance coverage. There may be some lower and even no-cost respite options available in your community as well. Check with your local Area Agency on Aging or the ARCH National Respite Network and Resource Center to learn more about options. Speak with local churches or community organizations to see if they provide respite care or services, like meal delivery or friendly visitors. If your loved one is a veteran or the spouse of a veteran, there may be VA-associated respite options for which they are eligible. Before you start adding up the numbers, remember the goal of respite is that it's a short-term solution and one that will hopefully prevent or forestall the need for expensive long-term care. It’s also tough to assign your health as the caregiver a dollar value, but if you miss work days or caregiving days because of preventable illness or injury—or an emergency—these financial and physical losses are sure to outweigh the up-front expense of respite. For more information on how a professional caregiver can provide quality respite care, click here.